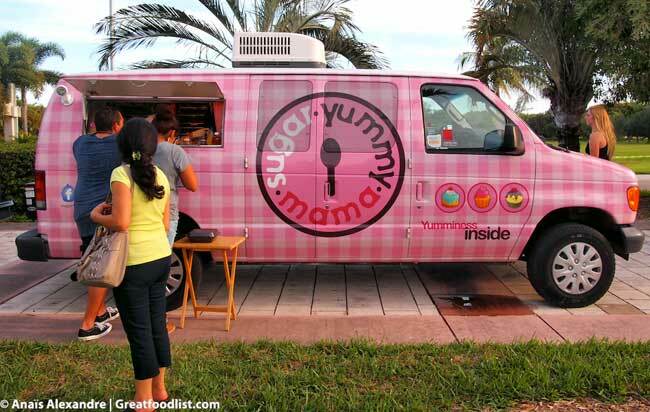 Sugar Yummy Mama is the only food van among a sea of trucks with a cheery, bright pink exterior. 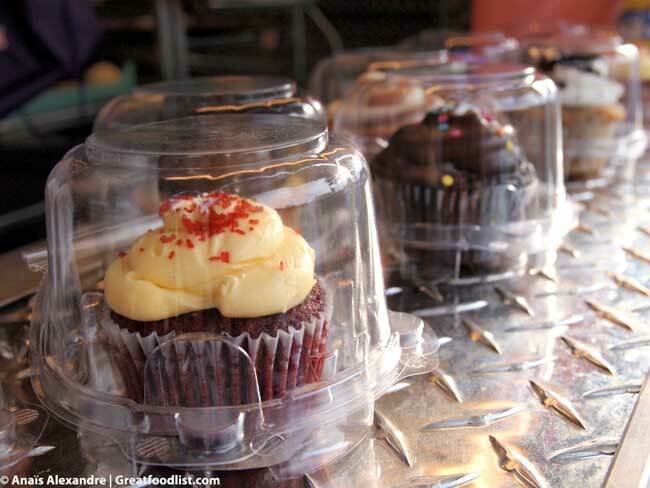 The owner is smiling and serving up perfect-looking cupcakes and cake pops. 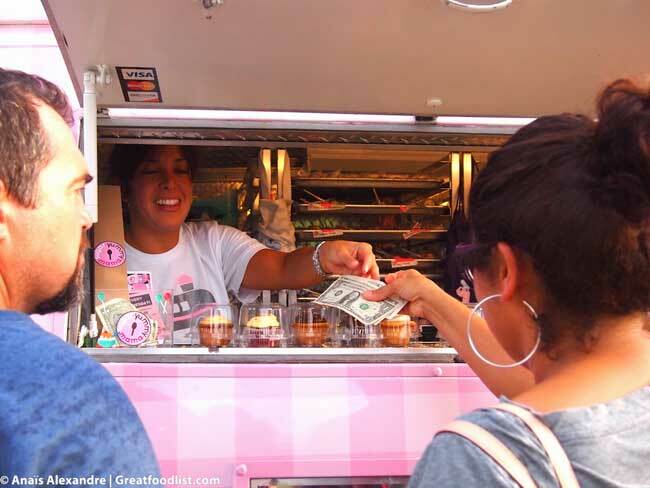 In front of the truck are swarms of little girls twirling and dancing, with sticky fingers and happy faces. 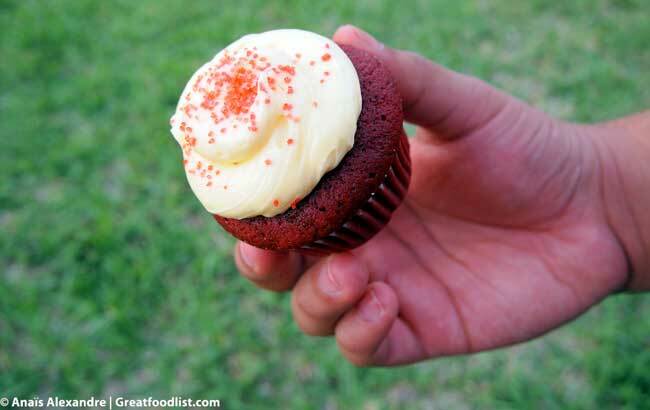 I got a red velvet cupcake with cheesecake frosting and a brownie cake pop. One bite from each and I felt like dancing with the rest of them. 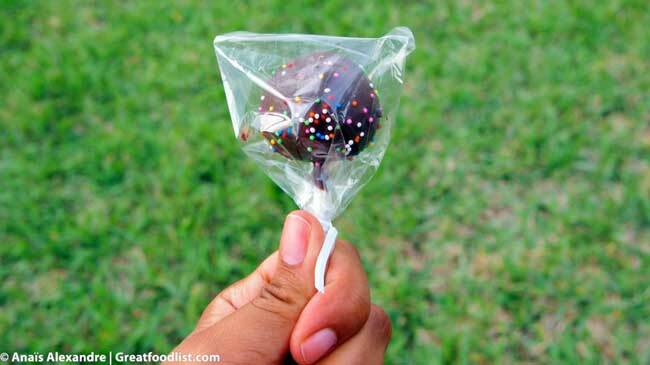 The cupcake was rich and delicious, and the brownie cake pop was chocolate heaven on a stick. Sugar Yummy Mama knows what she’s doing, and with prices in the range of $2 – $3.50, she will have happy, dancing customers for a long time. Visit them on facebook, click here. Visit them on twitter, click here.